The previous post offered an introduction to PAR and PPFD. The question is how much is enough light and when is it too much. Supplying your plant canopy with an even and adequate amount of usable light is vital, but supplying your plants with more than they need can be a waste of energy and money. This can also lead to negative impacts on your plants. 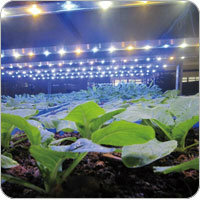 All plants are different but can be placed into categories based on light needs per day. This is known as Daily Light Integral (DLI). DLI is the amount of PAR received each day as a function of light intensity and duration. 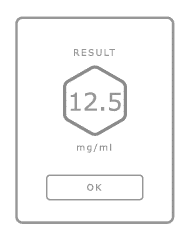 This is known as moles per square meter per day (µmol/m2/d). A direct correlation between how much PAR your plants are exposed to and for how long each day. Generally, the vegetative stage of plant growth requires 16 – 24 hours of light per day, while the flowering stage requires up to 12 hours of light per day. Below is a general breakdown of how much PPFD is needed for plants to thrive during the different stages of growth. µmol/m2/s and growth will be slow. Plants require additional CO₂ to utilise more than 1 000 µmol/m2/s. Chandra et. al. concludes that peak growth of Cannabis Sativa takes place at 1 500 µmol/m2/s at 30ºC when supplementing with CO₂. Growth steadily decreases with more light or at higher temperatures, resulting in wasted energy. Continue reading How much light do I need? 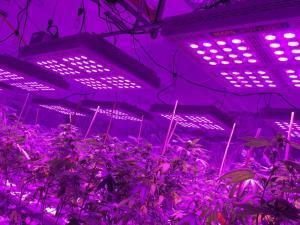 Blue and red spectrum LEDs are the foundation of most LED grow lights and the resultant hue is sometimes referred to as blurple. 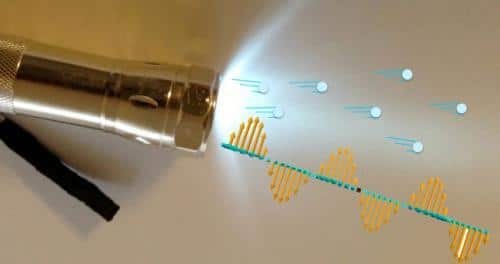 There are good reasons why red and blue spectrum LEDs are the foundation of most LED grow lights and this post is the first in a series aiming to better understand the science behind LED grow lights. 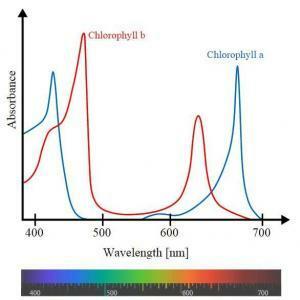 Understanding why red and blue LEDs feature so prominently in LED grow lights starts with understanding chlorophyll in plants. Chlorophyll is vital for photosynthesis and allows plants to absorb energy from light. Plants are perceived as green because chlorophyll mainly absorbs the blue and red wavelength and reflects the green. The figure below plots the absorbance by the wavelength of light and illustrates the high absorbance of red and blue light in plants. Most green land plants have two main types of Chlorophyll – Chlorophyll A and Chlorophyll B. Chlorophyll A is the primary active pigment (chemical) in photosynthesis. Chlorophyll B is called an accessory pigment. There are many other classiﬁcations of Chlorophyll other than A and B, but an in depth discussion of their functions are not necessary at this point. The spectral range (wave band) from blue to red light is called photosynthetically active radiation (PAR). The spectral range of solar radiation from 400 to 700 nanometers is therefore the range of light that photosynthetic organisms are able to use most efficiently in the process of photosynthesis. PAR is discussed in more detail in the next post. tCheck 2 and flower and concentrate kit features chart. tCheck 2 and flower and concentrate kits come with a 6 month warranty.